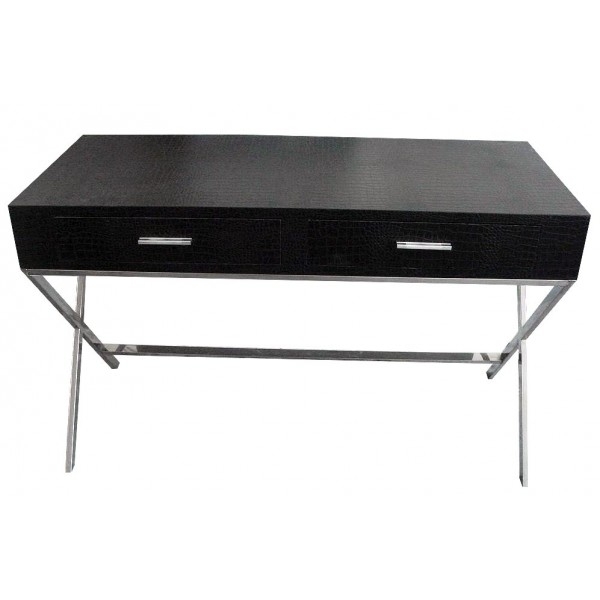 This Moc Croc Black Dressing Console Table is perfect as a hall table, side table or desk. Simple and contemporary in design with chrome legs and chrome handles it will fit perfectly into any modern or period home. They are great in a large formal room as a pair either side of a fire place.